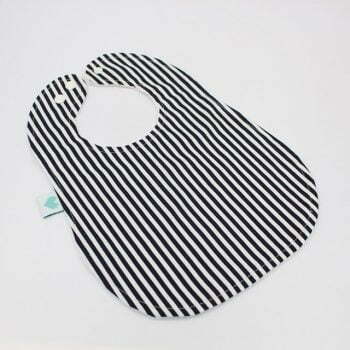 Our baby feeding bibs are perfect for those little ones that love to make a mess and are super absorbent and stylish at the same time! Please do not leave your bubs unsupervised when they are wearing our items. Some of our products are classed as head and neck attire, making them potentially harmful if worn incorrectly.